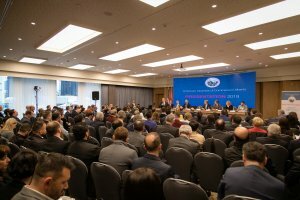 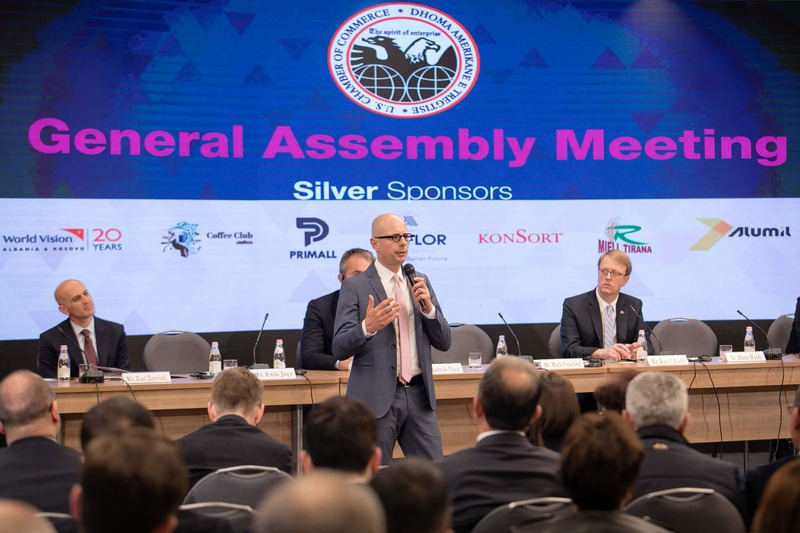 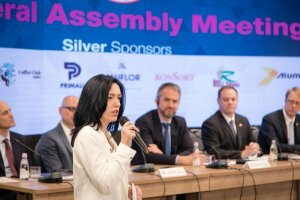 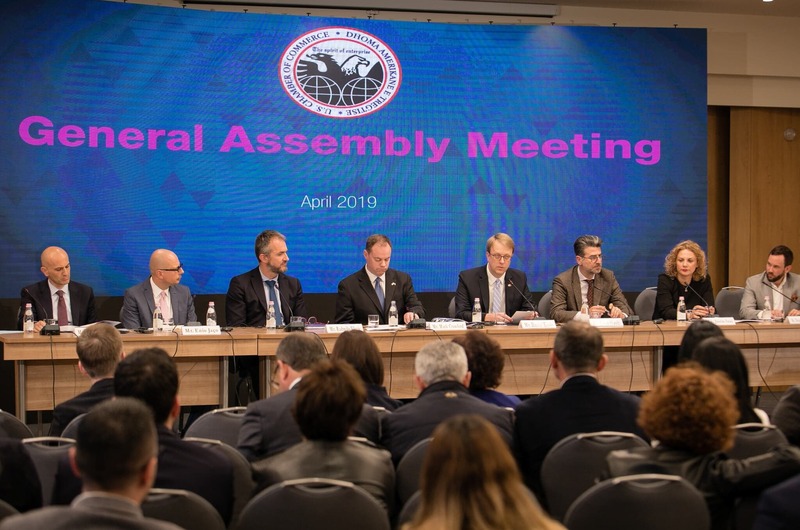 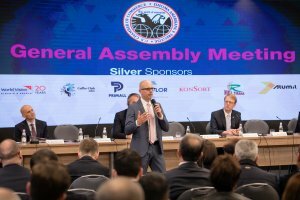 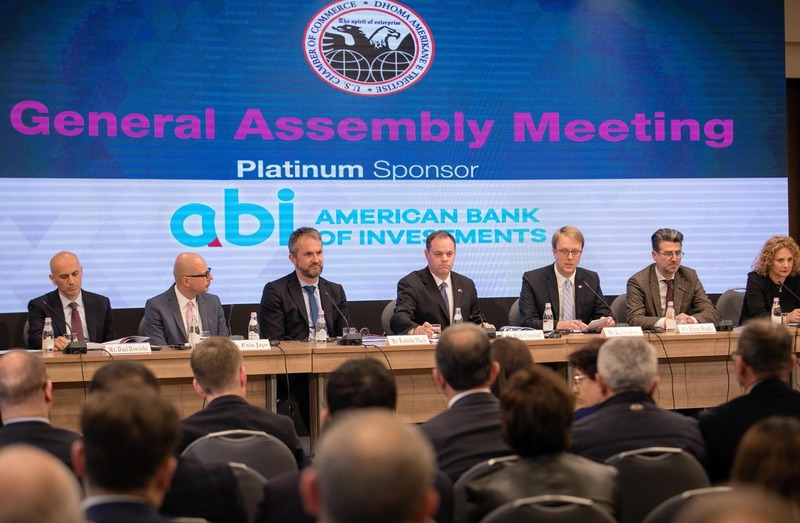 The American Chamber of Commerce organized the General Assembly Meeting who served to elect the new President, Secretary and two Board Members. 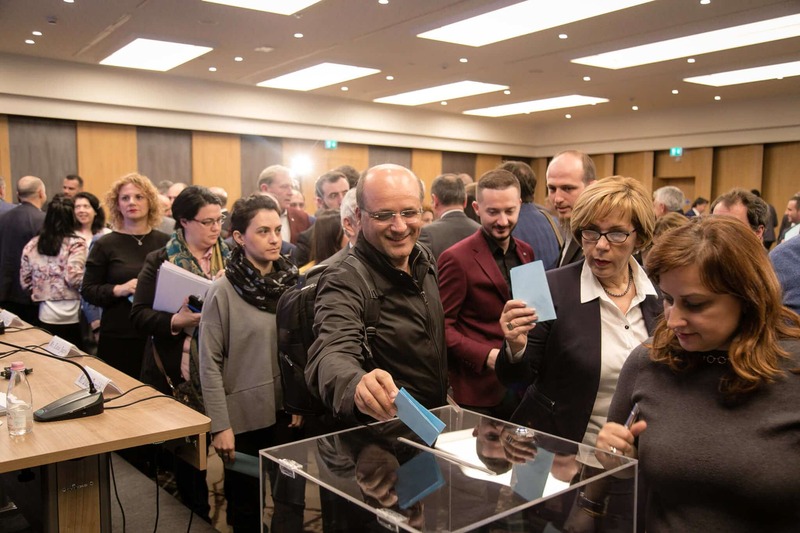 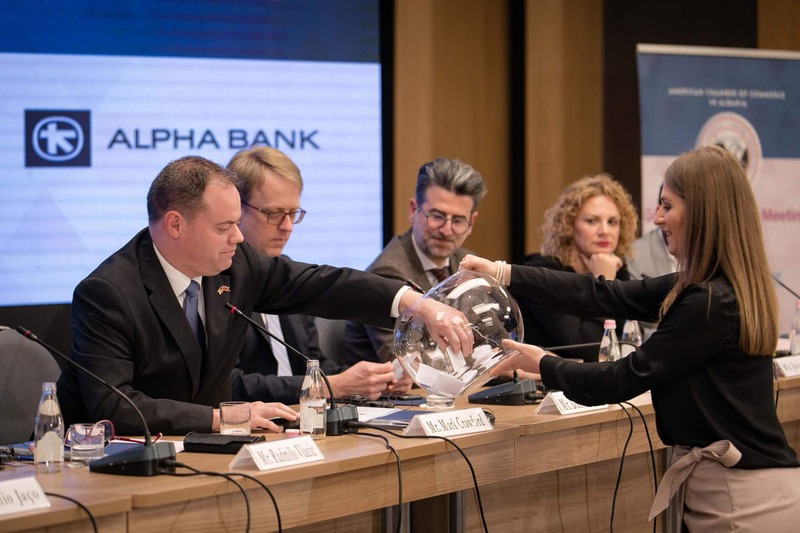 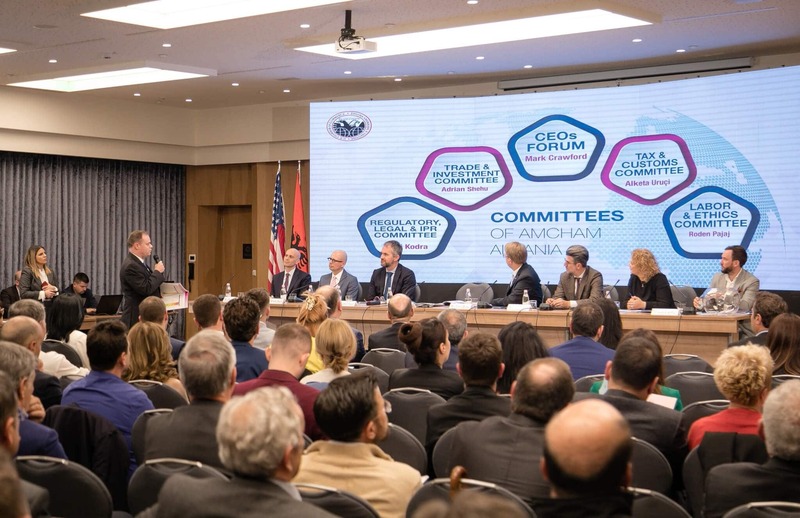 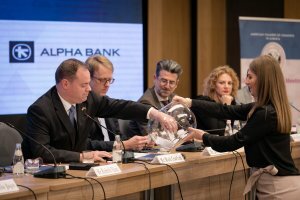 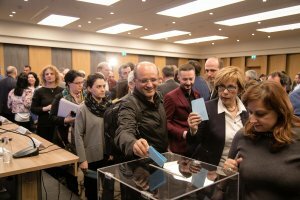 With the majority of votes, at the end of the election process, the members of AmCham elected as President, Mr. Enio Jaço, CEO of CBS, as Secretary, Mr. Reshard Këlliçi, representative of Harry T. Fultz Institute, and as members, Mr. Jeffrey Barrett, from Link Across and Ms. Eni Xheko, CEO of Xheko Imperial Hotel. 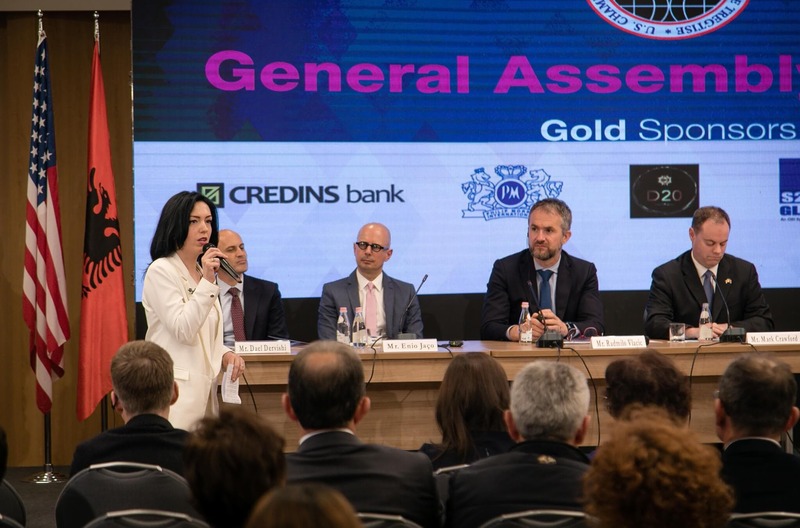 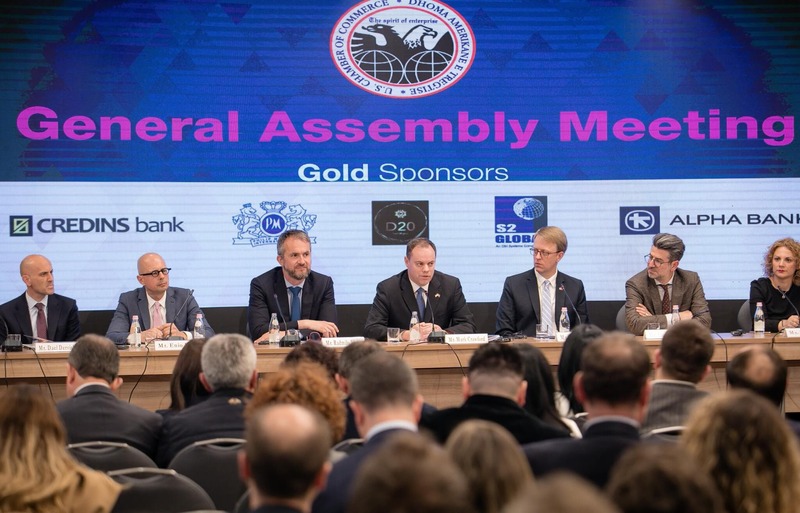 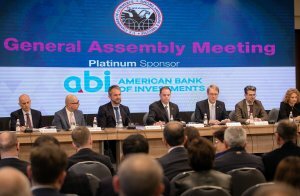 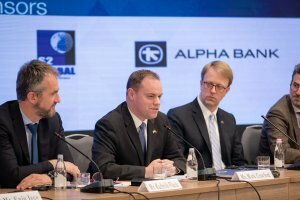 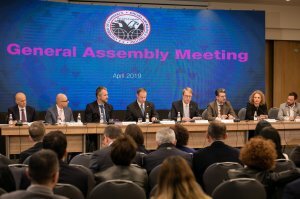 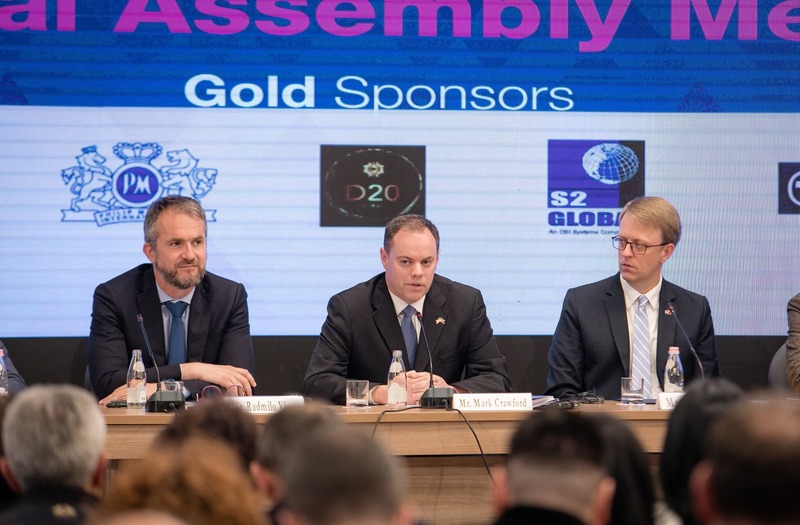 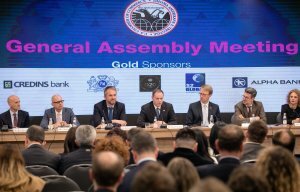 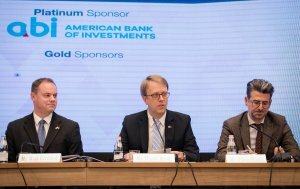 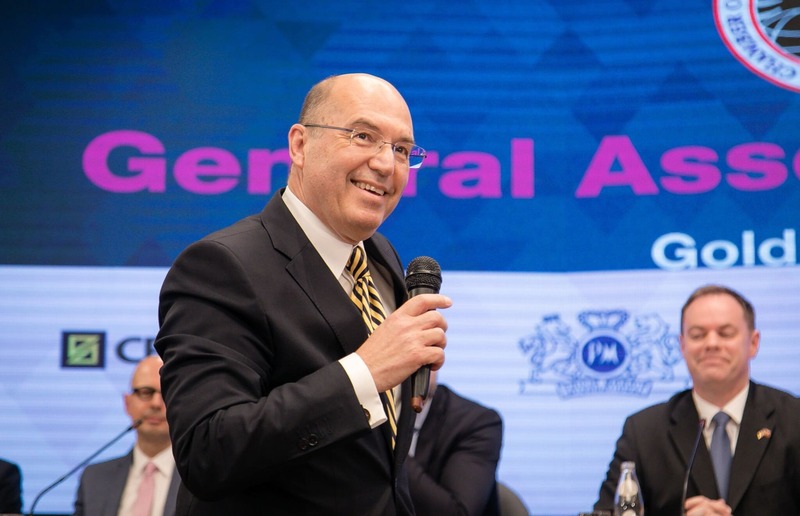 The General Assembly Meeting serves as the moment to make the balance of the work that AmCham has done over the last year and to introduce the Business Index. 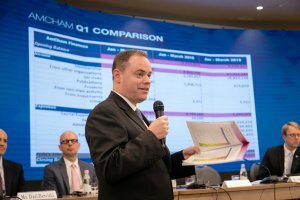 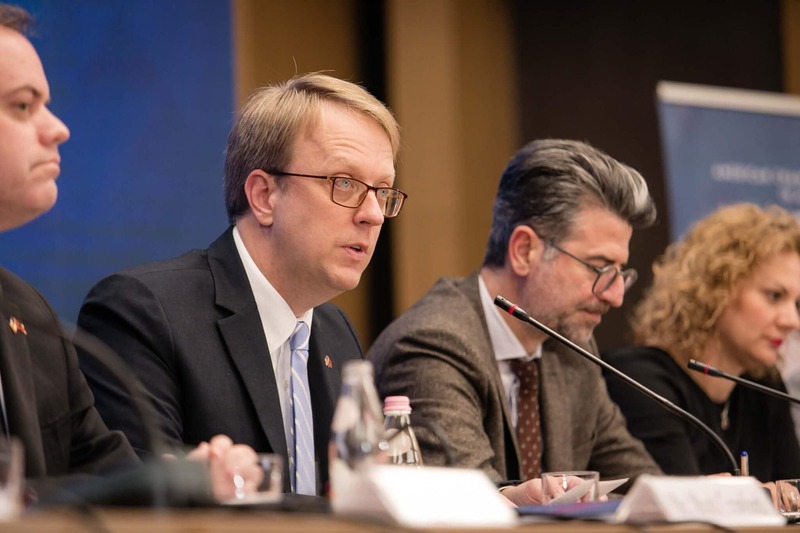 The President, Mark Crawford, in his last speech before leaving this position at AmCham, made an expose of the financial situation of the organization, of the new membership categories format, of the members and of the work done by the Board to apply reforms that has brought changes at AmCham. 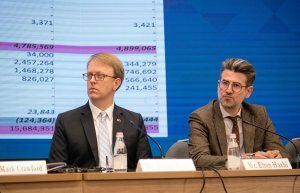 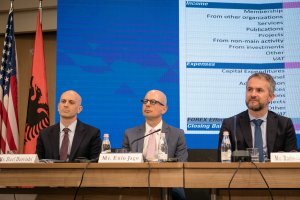 Focusing on the results of the Business Index 2018 – 2019, Mr. Crawford informed that the Index has increased with 0.71 points compared with the Index of 2018, reaching by now 43.16 points. Unlike last year, when taxes were the main concern of businesses, this indicator has marked improvement with 6.4 points, positioning it as the fourth problem in the list. 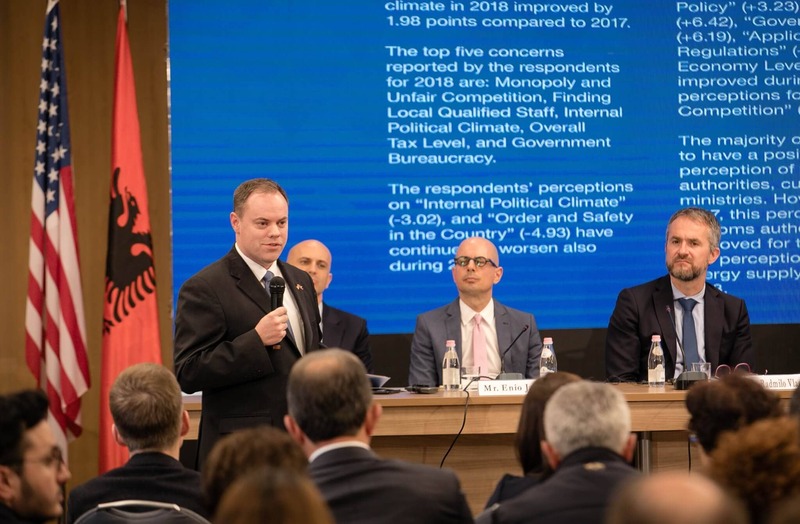 In 2018, members were concerned about the monopoly and the unfair competition, with a nearly, 4 points deterioration. The second biggest concern of business members is finding qualified local staff, this also has had a slight deterioration. 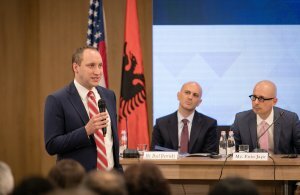 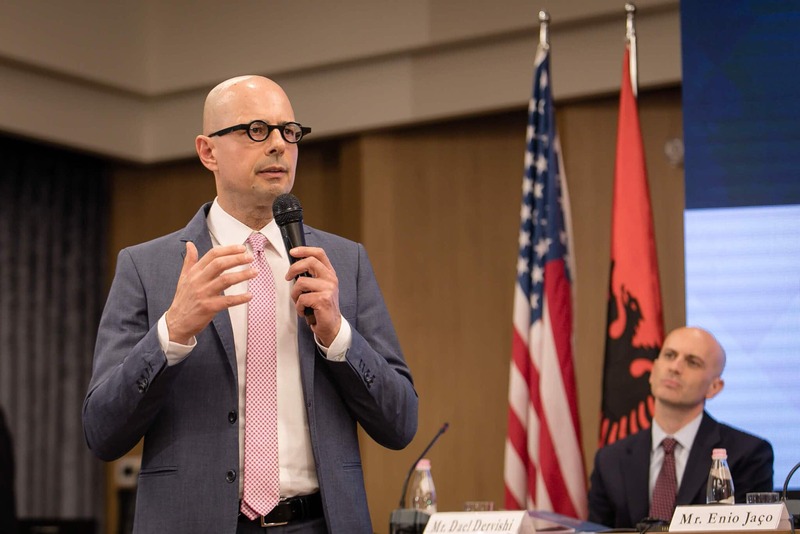 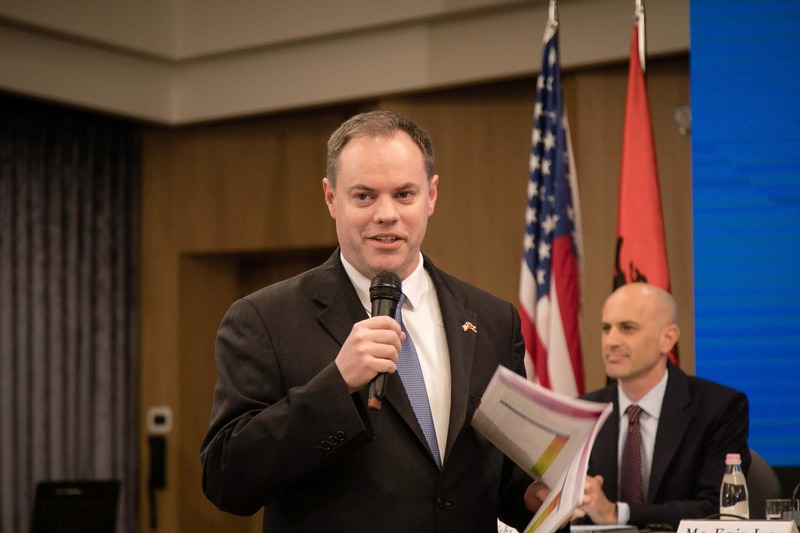 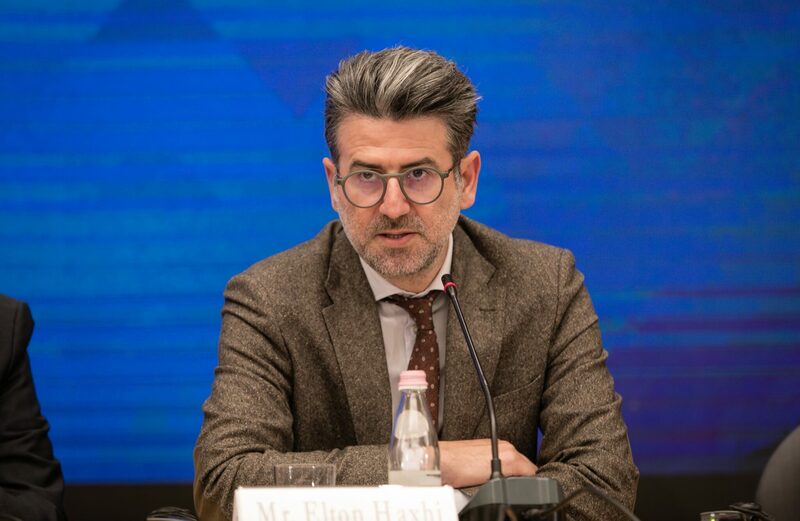 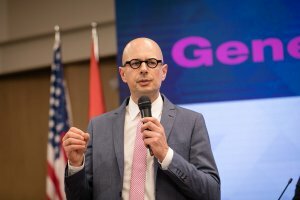 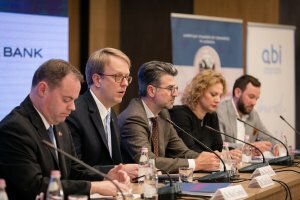 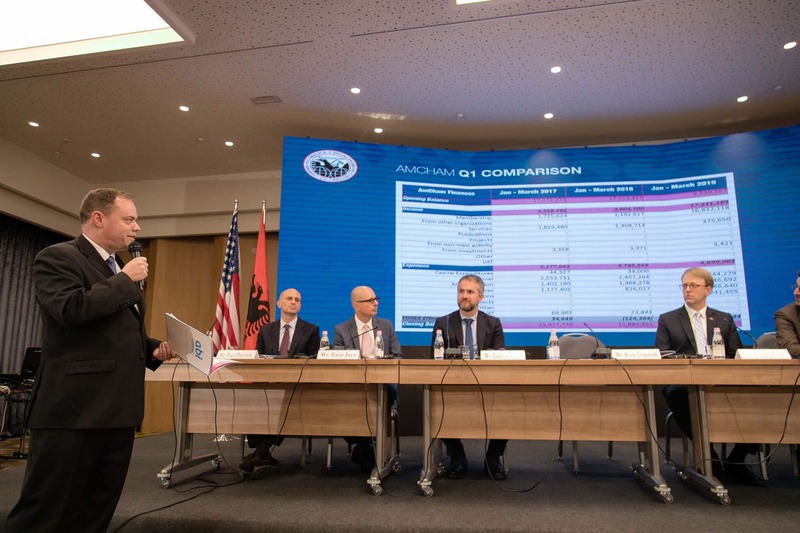 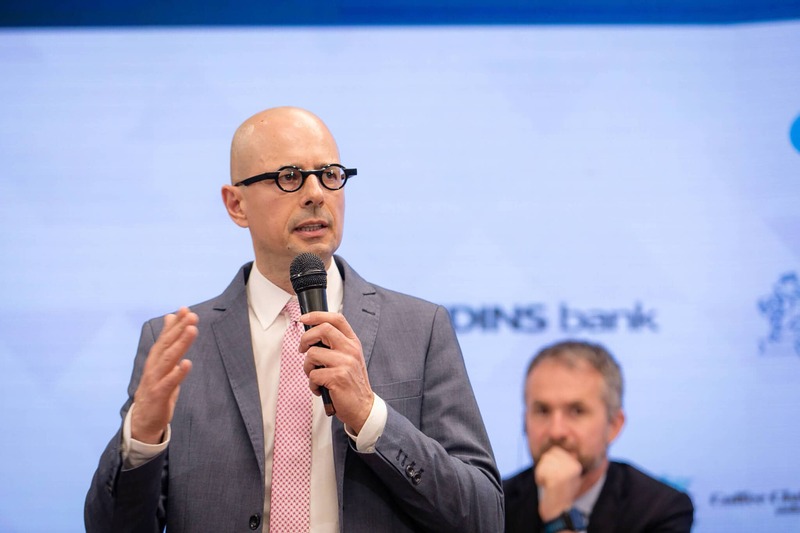 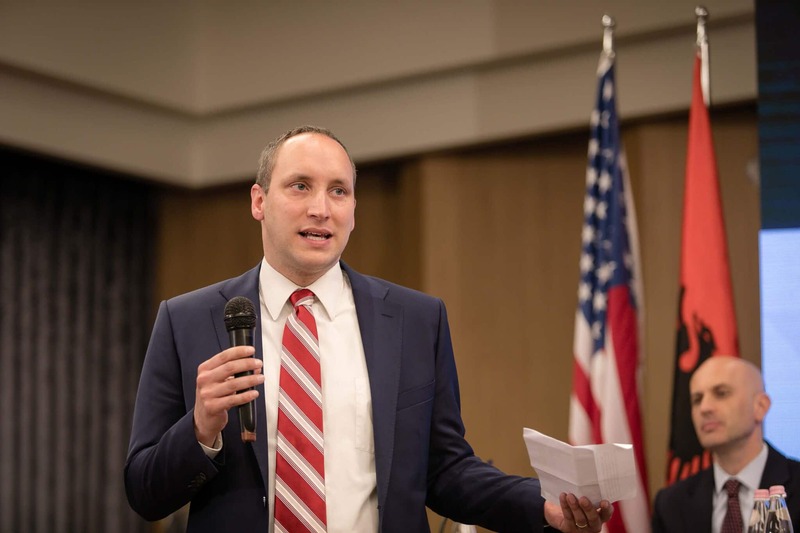 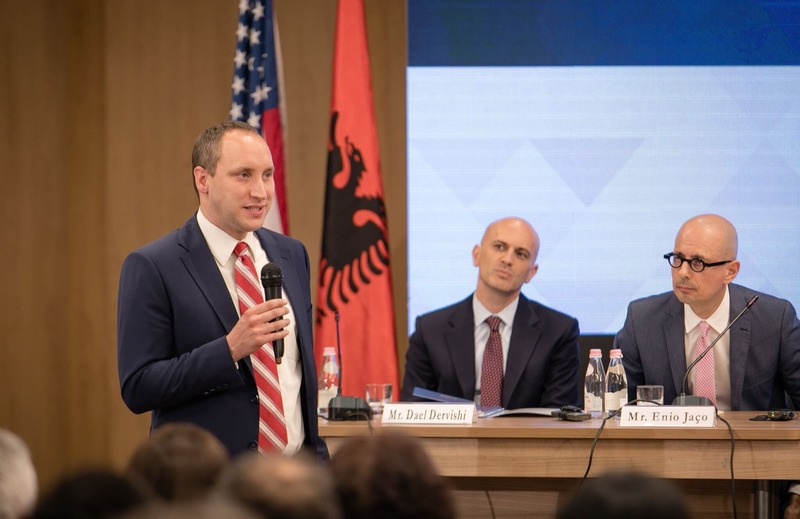 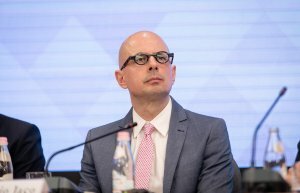 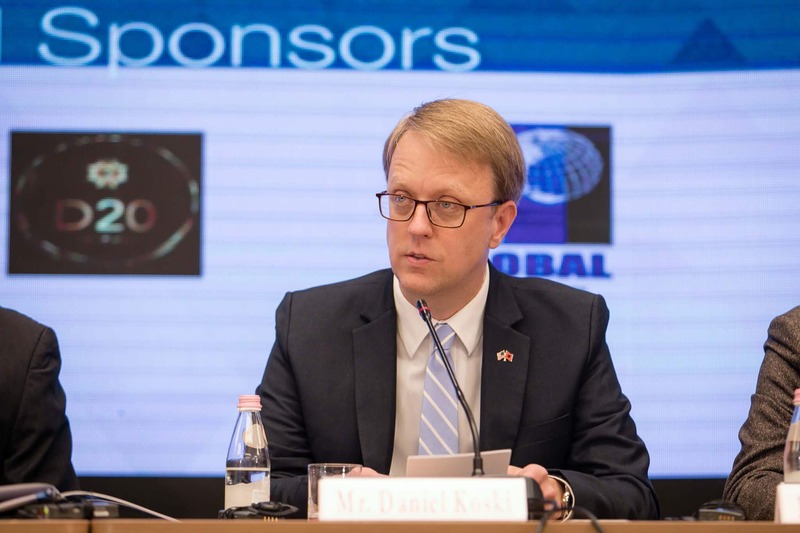 The Deputy Chief of Mission in charge of US Embassy in Tirana, Mr. Daniel Koski, in his remarks emphasized the fact that the justice reform will solve a lot of problems that businesses have faced and will be a crucial factor in helping to create a good business climate, not only for Albanian companies but also for foreign and US investors. 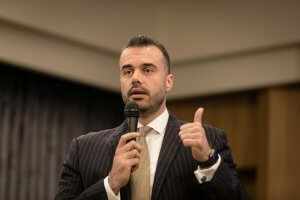 “A reformed judicial system will guarantee the inviolability of the contract. 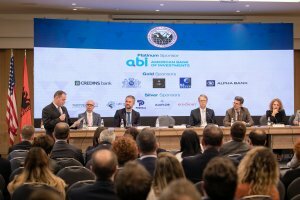 The foreign and local investors ask that contracts should be respected and enforced. 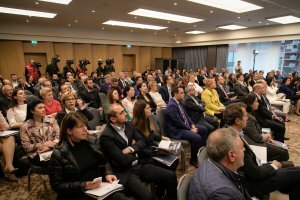 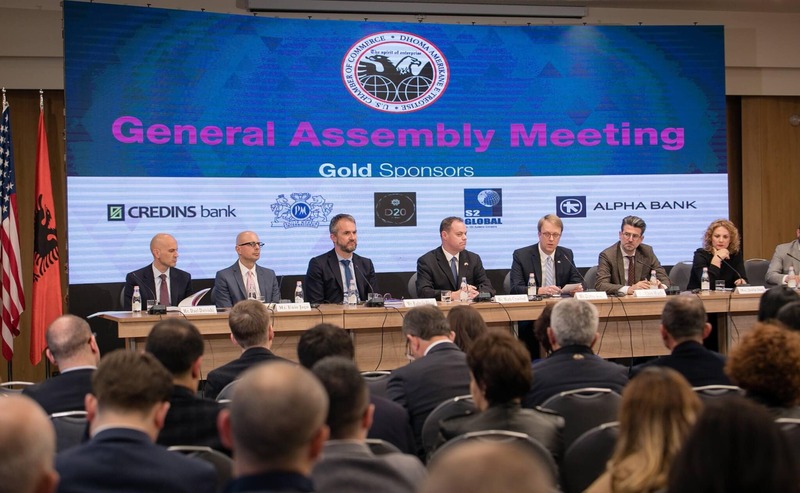 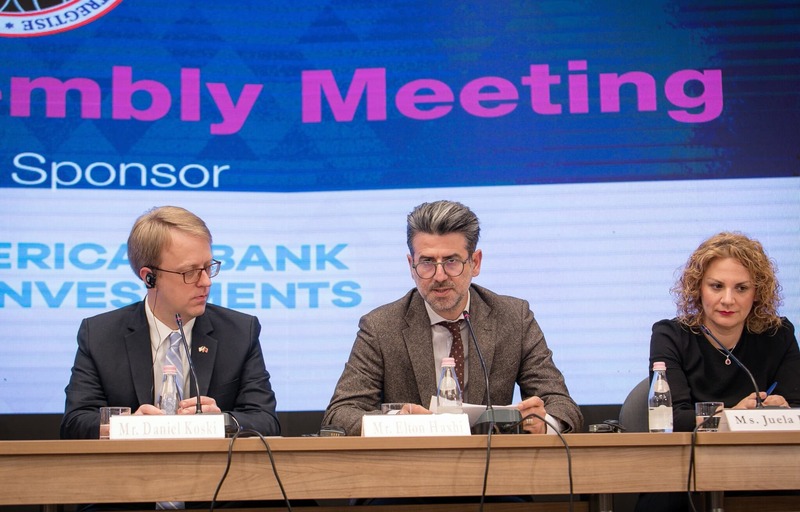 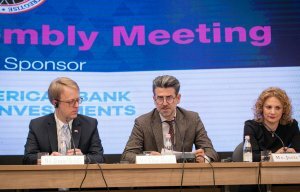 Investors should be ensured that that they will be compensated for the sale of their products and services under the terms agreed by each party” – said Mr. Koski during the meeting. 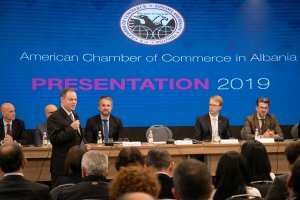 All the candidates introduced their selves and their platforms that will help them to contribute at the Board of AmCham. 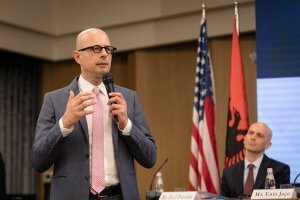 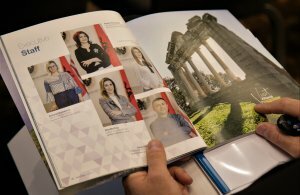 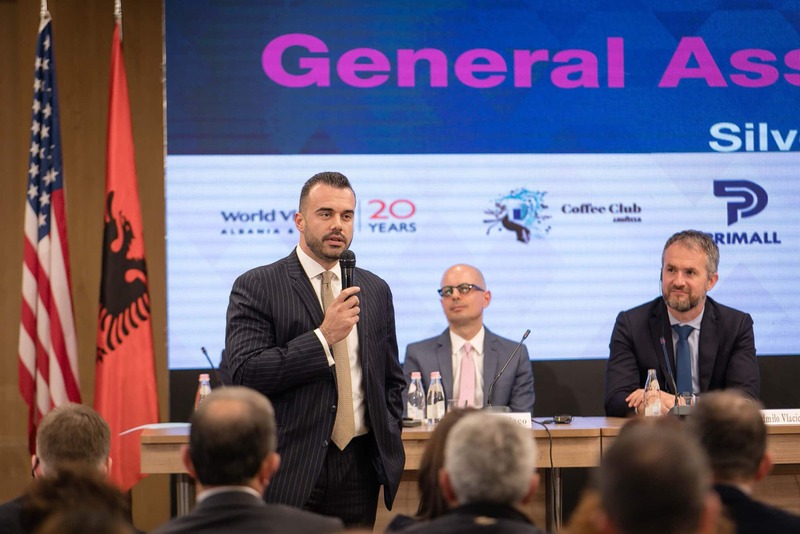 Talking about his idea on the way he would develop AmCham, the new President, Mr. Enio Jaço said that “I’m proud of AmCham, which is the most effective business chamber in Albania today. It functions as a real institution with proper rules and procedures in place that would be the envy of many institutions. 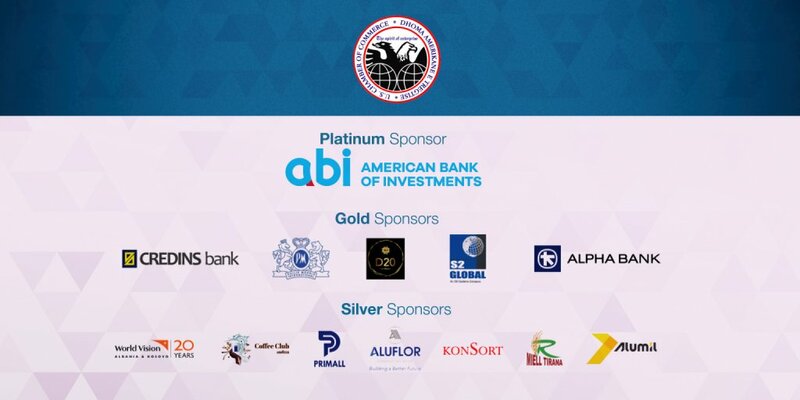 AmCham is also a significant force –a union of 200 more businesses with a combined annual revenue of $5 Billion. 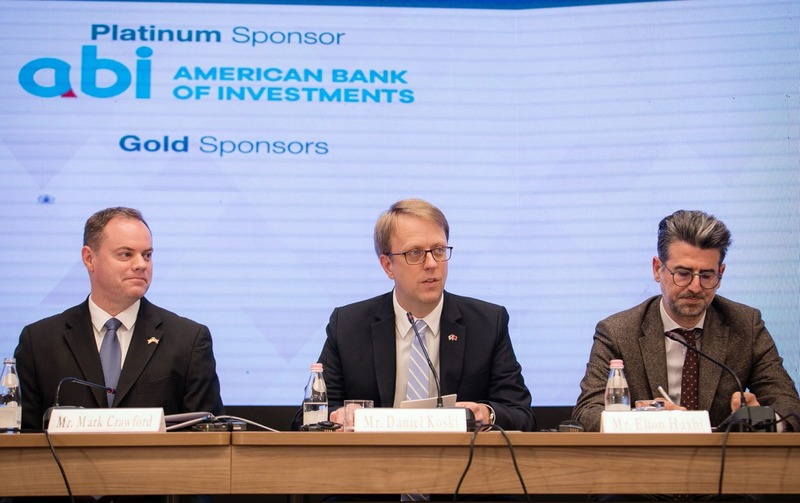 AmCham is also a global network of 115 branches in more than 100 countries. I see my mission at working hard to making AmCham more effective and more influential by creating more markets for its members and building a more friendly business environment in Albania”.